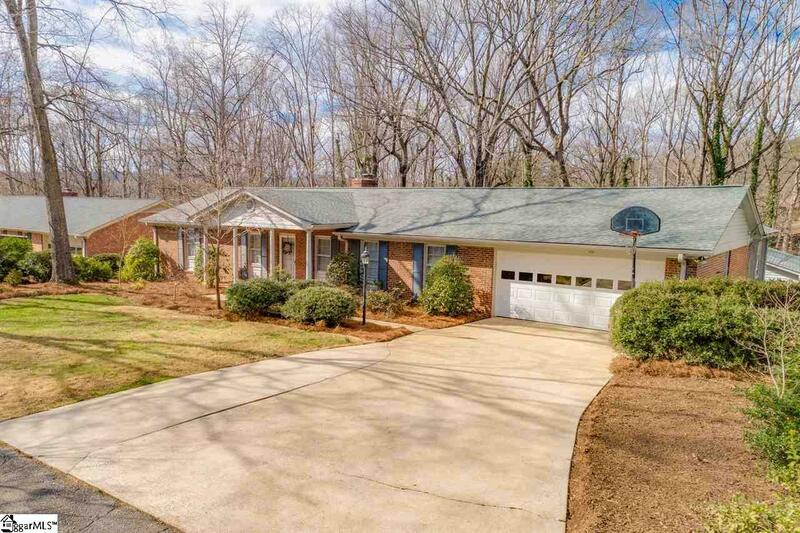 Take a look at this wonderful brick ranch home in the heart of Taylors! As you walk in the door you will find a formal living room that can be used as an office, playroom or additional dining area. The kitchen has loads of cabinet space and a breakfast peninsula that's perfect for the family to gather or the kids to sit and do homework. The kitchen also includes beautiful granite countertops and a tile backsplash. The large great room is just off the kitchen area and has a stunning fireplace with traditional brick hearth and wood mantel. There are 3 spacious bedrooms down the hall, including the master. The master has its own private bath with granite countertops and 2 large closets. There is an oversized hall bath with 2 sinks, granite countertops and an elegant tile surround in the shower. Just off the back of the garage is a 19x15 bonus room that could be a home office, bonus room, or man cave. There are French doors just off the great room that lead you outside to the deck. The large 27x16 deck is perfect for outdoor entertaining and it overlooks the huge backyard. The deck also has a Webber Grill with built-in gas supply, perfect for endless grilling. An added feature to the home is the 24x24 detached garage with electric and an attached 24x12 carport. The private backyard has a portion that is fenced, a stream, mature trees and even a 10x10 dog kennel. Spectacular landscaping, includes Dogwoods, Azaleas, Mountain Laurel, Japanese Maples, Hostas, Star Magnolia, Autumn fern, Oakleaf Hydrangea, Hollies, & Loropetalum. There is even a compost pile already started. This well kept home is ready for you and your family!